Later this year The Flash, Arrow, Supergirl and Legends of Tomorrow will hopefully be teaming up for an epic crossover! Ever since Supergirl Season 1 was announced we've been waiting for this moment and now that it's been reported that Supergirl will be moving over to The CW, dreams could be coming true, as a HUGE DC TV crossover event is in the works. 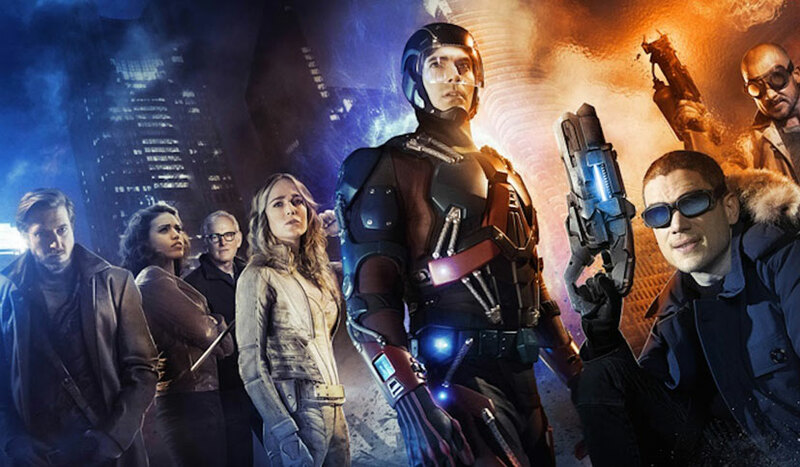 The Flash, Arrow and Supergirl are no strangers to crossovers as they've all overlapped with each other in some form, Legends of Tomorrow is a crossover in the sense that it took characters from The Flash and Arrow to form its core team, but never has such a massive crossover been attempted before. CW head Mark Pedowitz has confirmed that all four of the Greg Berlanti-produced DC series will crossover for an epic story and it's planning to air in December of this year, and it sounds like it'll be one hell of a spectacle. What can we expect from the crossover? At the end of Legends of Tomorrow's season finale, Rex Tyler (a.k.a. Hourman) appeared and confirmed the existence of the Justice Society of America (JSA). In the comics universe, the JSA is founded by a certain Jay Garrick who was recently properly introduced in the finale of Season 2 of The Flash. His founding of the JSA will likely tie The Flash into the JSA and Barry will most likely involve Oliver Queen. Could the multiverse within the The Flash series collide, having Supergirl end up on Earth-1? After all, we now know that the next season of The Flash will be based of the FLASHPOINT story! Does anyone else get the feeling that as the DC TV universe can't use the Justice League, they are trying to introduce the next best thing, The Justice Society of America (JSA), which could potentially enable the DC TV universe use all sorts of characters, even older versions of Superman and Batman!